Teenage Rampage! 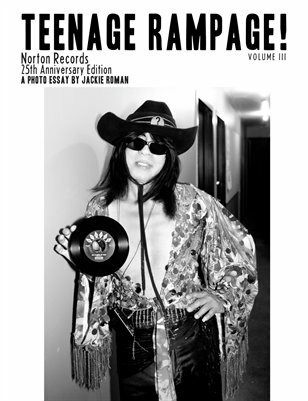 is a limited edition series of photo essays by photographer Jackie Roman. It’s about photography,fanaticism and independent music. Volume III documents the Norton Records 25th Anniversary Extravaganza concerts that took place at The Bell House in Brooklyn, NY on November 9th-11th, 2011. It features 88 monochrome photographs as well as an essay and captions punctuated with recommended listening from the Norton Records catalog.